Any news, info, personal reviews, on the XM-3500? Since I'm seeing a lot of information regarding the XM-3000, but none so far regarding the bigger model, I was curious to see the status of "real-world" users. I test drove one last night, the Verde from Mountain Chen. are low in one row, so center of gravity is low. Handles great. I'm seriously interested in details regarding these machines. Does anyone know if you can manually control the regen like you can in the Vetrix? I want the ability to coast as often as possible to extend range and reserve the regen for going down step hills. I'm no longer sure that the XM-3500Li has regen. The XM-3000 was initially listed with regen but that seems to have gotten "lost" along the way (as well as the charger turned from a 10Amp unit to a 5Amp unit). These things aren't really that big a deal to me - just annoying. Back to regen - if it has it then I strongly suspect that you won't control it separately as with the Vectrix. My guess is that it would be an on/off switch on the brakes. (I rode) the Verde from Mountain Chen. Well that's a new one! I haven't heard of the "Verde". I've heard it called the Paladin and the VK-2008 as well as the XM-3500Li. To be clear Robert rode a bike that most likely has the same specs (and can be considered the same as) an XM-3500Li. However, the actual XM-3500Li's aren't in the country yet (i.e. the bikes which are sold as the X-Treme brand). From the point of view of "how will the bike work" Robert's is most likely a near identical twin (so I look forward to hearing more from Robert). However, from the point of view of customers who might be saying "how come I haven't got my XM-3500Li that I pre-ordered yet?" - don't worry they're on their way but they're not here yet. Robert - do you just have the one sample bike or do you have a stock to begin selling? I'm just curious as to whether this is a one-off import or a different source/brand for Chen's bikes. (this is not meant to be a "challenge" just genuine curiosity) Thanks. I've been considering getting the XM-3500Li as well, but figured I would wait just a bit for some of the reviews to get in before ordering. Still, I'm leaning pretty heavily towards getting one if there seem to be no major issues. The thing I'm wondering about, though, is care of the batteries. I know usatracy and others have posted several things about the care of SLA bats, but what about these Lithium batteries in the 3500? I've heard that break in isn't really required but that it could be done, but if you do what would be the best way to do it? What about drain levels? Some batteries perform better when drained all the way down then fully recharged so as to prevent a shortened usage level due to "memory" issues (so to speak, I think those are NiCads primarily, though.) Any special considerations with these? What about Equalizers and PakTrakrs and such? The XM-3500Li is supposed to come fitted with a BMS that will keep the individual cells in balance - so there should be no need for equalizers. However, it's yet to be seen how well this BMS works. LiFe's (the type of lithium battery in the XM-3500Li) have no memory - so "opportunity" charging them is recommended to increase their life (i.e. charge them when you can and don't let them drain all the way). Supposedly you should get between 1500 and 2000 cycles out of the batteries. With a "best guess" of 40 miles "real world range" that's between 60,000 and 80,000 miles - pretty impressive if the numbers play out in the real world. The batteries have a 2 year warranty. I'm not sure about break in yet - I'll research that some more. I seem to remember that folks say that LiFe's benefit from a couple of complete drains at a 1C rate (I believe PJD has first hand experience with this). PakTrakr is a battery monitoring device. It can be useful if you don't "trust" whatever battery management system you have and can give you an early warning of the batteries becoming out of balance giving you the chance to rectify the situation before the whole string is over-stressed. However, you have to remember to check the individual cell voltages on a regular basis. For the "average" user I don't recommend a PakTrakr - however for the enthusiast who wants to know more about what's going on with her batteries then it's a great bit of equipment. on the front, I can only assume it is a 3500 with litium batteries. I guess that makes it a 3500LI (without the XM). I imagine it's a one-off direct sale by Mountain Chen to a customer here in the US. Perhaps it was sold as a "sample". It would be interesting to see a side by side comparison of this bike with a "genuine" XM-3500Li to see if anything has changed between the manufacturing of this bike and an XM-3500Li. I have "mixed" feelings about buying direct like this. On the one hand the customer takes some more risk and gets the bike at a lower price. On the other hand the importer is taking a bigger risk (by importing container loads) and has to compete with a direct sale at a lower cost. In the end with only one or two of these "direct from the factory" sales I don't think it's that big a deal. The only problem I foresee is if these direct buyers want support for parts and service from the importer and their dealers. I know I lost one sale from someone who got some "pre-sales" support from me (I simply answered questions about the bike) and then bought direct from Chen. Oh well - no big deal. Can you tell us any more about the bike? Perhaps you can encourage the owner to post his experiences? Forget the PakTrakr for LION batteries - way too many cells to monitor! It works for 12V batteries, but not 3.2V cells. They sell a version that monitors Lithium batteries: http://www.paktrakr.com/ (look at the big green letters on the left side of the page). Thanks, I did not know that. My error. Yes,Robert is correct,that's my first VK2008 arrived in USA.but it is first version with 19cell Lithium battery. XM3500li is on the sea now who has 20cell LFP batteries. Thanks for the info. Going back to battery questions, I was also wondering about how these should be handled for charge times as well. Do they have the same issues if left on a charger overnight, for example? Or does the charger that will come with the XM-3500Li have the capability to monitor when the batteries have hit capacity and stop charging at that point? John mentioned what sounded like trickle charging as a possible break-in method, but how does one go about doing that? Will the charger have that capability? Obviously some of the answer to those questions will depend on the charger that comes with the scooter, so maybe it would just be better to wait and see what folks will know when they start arriving. 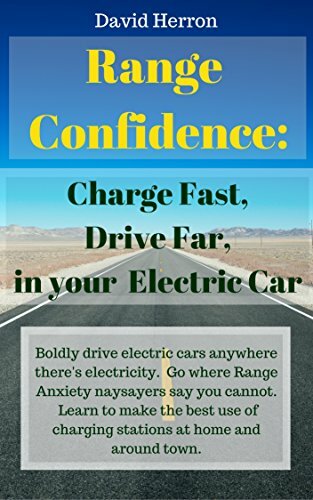 I actually have much to tell the forum about this and other changes in my EV life but have been swamped elsewhere in life. Reports coming sometime next week as I am out of town this weekend. I can tell you a few things right off the bat...excellent handling with a low center of gravity, very good acceleration from a dead stop. Smooth ride and very comfortable. Drawbacks...speedo is off by 10 mph (not 10% but 10 mph) and has a top speed around 43 mph (my wife paced me in her car and I have passed two police readouts). I am disappointed by this stat. We had to swap out controllers due to a defect in the controller it came with. Mountain was great in letting us know about it up front. The replacement controller had some slight differences and I suspect that the amp usage may be different in this controller, thus limiting the speed. I haven't given the range must testing yet but have ridden it 20 miles at full throttle and the stock battery level gauge indicated the charge was still somewhere around 85% still. Some teasers...I took out a car loan, am selling my ICE car and bought the 3500Li, a kelly controller to fix my money pit E-Moto and an electric car. That's what I got for now...more coming when I get my life settled, hopefully next week sometime. Greetings, folks, from this noob. I finally laid down my money for a XM-3500Li, and am waiting anxiously for the container(s) to cross the Pacific. I first came very close to buying a Zapino from a local dealer here in San Leandro, but I really wanted more speed, faster recharge and greater range. What convinced me to get the 3500 was the presence of Mountain Chen here in these fora, and his good reputation as an electrical engineer. The "Falcon Matrix" from Falcon EV seems to be the exact same bike, Having ridden an Expresso S (a 500-watt electric bicycle from Q-Electric) for several years as my primary transportation, I am looking forward with great glee to riding something with a bit more pep and range. Green electric power and use thereof; what more do we need? I was told by a lady at X-Treme that the end of this month (July 2008) is when they expect to get the shipment. Though I made my order, they have not yet charged my card, and I appreciate this practice. Speculation on delivery and what we are going to get is about all we can do while waiting for our XM3500LIs. If it takes 13 days to travel the great ocean in a container rowboat to Portland OR and there is a container ship from China due to arrive the 20th in Portland for unload on the 21st that fits in that 13 day timeline then I would guess that the bikes will be on US soil Monday. How long it takes to go thru customs and load on a train and complete its journey to Iowa is a mystery, but an educated guess would be a week which puts us to the 28th. Too bad we can't get X-treme to ship the west coast bikes from Oregon. I could stand on the side of the tracks and wave at the container as it heads east and then wait for a truck to bring it back west again, that much more vibration to loosen up more electrical connections. As for the base scoot that Mountain converted into the electric XM3500LI I would guess again that is probably a Jonway YY150T-19 a 150cc sized scooter, which I have seen and test drove. For a China IC scooter Jonways are pretty good after you tighten everything up and replace all the fluids. Thanks, electromotion and ArcticFox. Though I'm 63 now and should have long since been acting more "mature," I still find myself as excited and nervous as a kid waiting for Christmas morning to roll around. Just as it was in 1950, I can't wait to get my shiny new bike! Thanks for the Jonway information, both of you. It's nice to understand something of the bike's "lineage" For a moment, I was wondering why Mountain Chen bothered to move the front disk brake to the left side, then I realized that AF had simply flipped the 3500Li part of the image horizontally. So, electromotion, I'm not the only one who'd like to know the time of delivery within, give or take, a few minutes? Thank you or your knowledgeable guesstimate. "The XM3500li will arrive in Xtreme this weekend." After dabbling in Thundersky's a bit, I think that the two big "caveat-emptor" issues for the XM 3500li, are going to be what kind of charging protocol and what kind of charge management they have. Twenty Thunderskys will be expensive to replace if damaged by overcharging or over-discharging. There seems to be a huge consensus that Thunderskys should be charged to just 3.7 volts per cell, or 74 volts for the whole pack. The factory's recommended 4.25 volts per cell is widely regarded as wrong. I know it's odd that you would want to ignore manufacturer's own specifications, but that's the nature of some Chinese manufacturers. So, if the stock charger is charging to much over 74 volts at end of charge, I would be concerned. The other item is charge management. It needs a charge management system that keeps the cell at end of charge to to within 0.1 volt between the highest and lowest cell. It also needs a low-voltage cutoff that protects any individual cell from discharging below 2.5 volts. I'd check the individual cell voltage at first charging. And look for a low voltage cutoff - you should see wires from each cell going to some sort of electronic module. Does anyone have any new-news about how the XM3500li manages the battery pack?